So you want to play the harp! Congratulations! 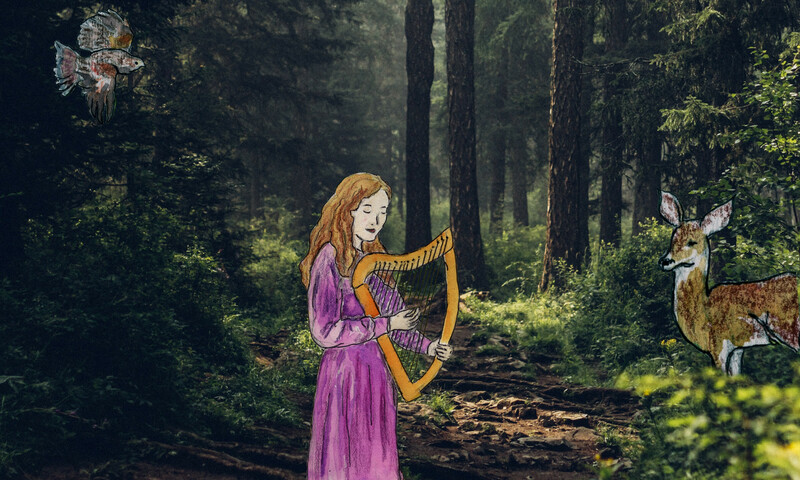 The journey with the harp is one of musical magic, joy, discovery, and, yes, during the learning process – times of challenge. All experiences are held in the journey, and I do my best to keep you inspired and to (keep) open the path to simplicity, ease, and fun in your playing of this beautiful instrument. How long does it take to learn to play the harp? The answer is: You can make beautiful music right away – and – it can take years to feel, if not masterful at the harp, at least satisfied with your ability to play what you want to play. That said, so much depends on not just your devotion to the path, but on your ability to relax and have fun with the music you are able to play now. A good portion of what we do together is removing any shoulds and judgments from the equation, and just enjoying being a partner with your harp in making music. That’s really the point, isn’t it? The harp has the ability to cast a spell. I mean that in the most wholesome, enlivening sense. The resonance of its strings, the beauty of its form, the heart of its nature as a tree, and its ancient legacy all combine to create a field of magic around you that is healing, restful, and speaks for you—if you will only open to the possibility. In our lessons we work with that doorway as well as with cultivating technique and tending to the music with which we’re working. We also notice body and breath. How is your body responding? Are you breathing through the music, and the harp? Where is tension building and how might you release it? If you wish your journey with the harp to be both wondrous in expression and grounded in the essentials, I’d be honored to guide you! You have at least 20 minutes, 3 days a week to devote to harp playing, and you’re willing to figure out a rhythm that works in your life for doing so. You seek technical perfection. Period. You have no patience with visualization, meditative practices, or whole body exercises to facilitate your harp playing. As for humor and fun? That feels like a distraction to you. 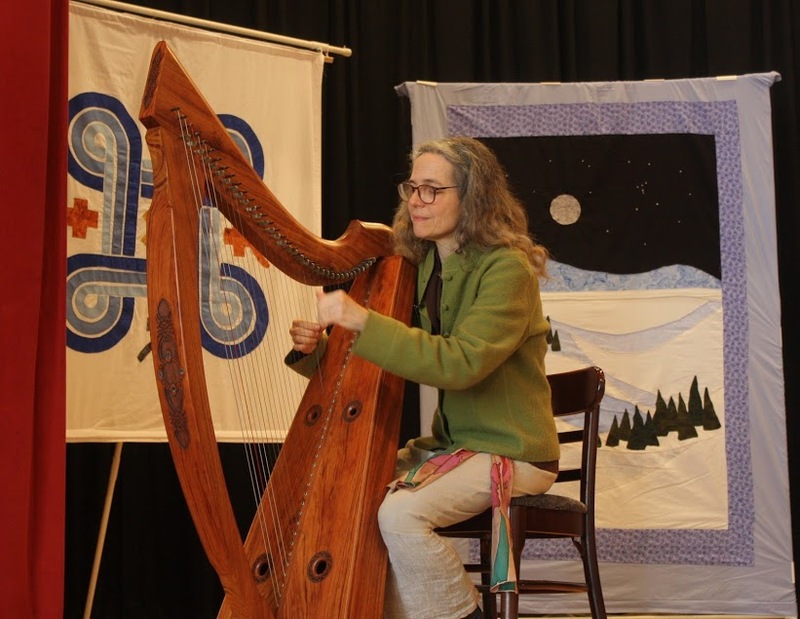 performance with bardic harp, story, and song. I have performed solo, duo, and in ensembles of numerous sizes and configurations, from early music to multi-level world-to-pop music groups. I play in Celtic music sessions, for meditations, bedsides, healing sessions, and have performed for dancers, choirs, and community celebrations. I’m honored to have played/sung for or have had my music included in all manner of life cycle events: births, rites of passage, weddings, transitions, deaths, and memorial celebrations. I share music and story with children in my work as a nature educator and when I served as a preschool teacher, and elsewhere. Have more questions or ready to sign up for lessons? Please contact me here.